Hi everyone and happy Autumn! As we approach October and Halloween, I find myself drawn more and more to black and white things and I especially love polka dots. 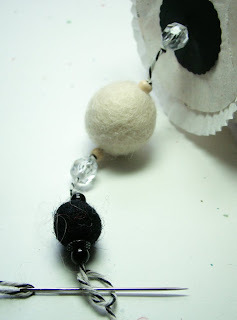 Recently I fell in love with these felt pom pom balls - which come in fabulous colors but also, black and white! 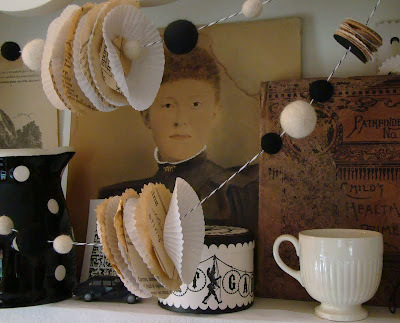 Like 3d polka dots, I thought they would look great in a garland combined with paper circles and beads. 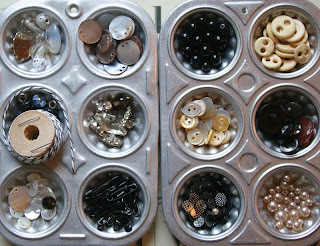 To individualize your garland you may want to add from your own stash of black and white goodies! Start by cutting the paper rounds. 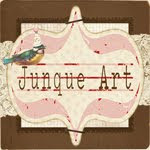 I used a variety of old papers and added in some recycled packing paper, white printer paper and some black card stock. I flattened out one of the mini cupcake liners and traced a circle on card stock to get a template, then hand cut about 25 circles. (They do not need to be perfect!) I cut some more with pinking shears, and with a Fiskers large circle punch. I also cut about 50 smaller rounds with a Martha Stewart scalloped circle punch. Better to have too mny than too few! Cut a length of baker's twine about 45" and thread it onto a large needle. About 6" from the end start by making a knot, adding a small bead, a sequin, a small felt ball, another sequin and another bead. Finish the set with a knot. To pull the knot tight put the point of your needle in it as you slowly pull the twine and ease the knot close up to the bead. The felt balls will stay in place on the twine without any beads and knots, but I think this makes it look more finished. Follow this with a second set with a larger felt ball. If you have trouble getting the needle through the felt ball, gently pull the needle through with a small pair of pliers. Now you can start adding sets of paper rounds. Again, add a knot, bead and sequin. 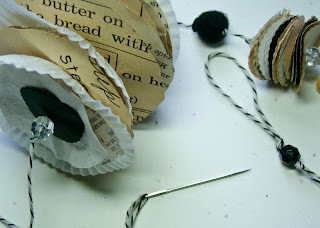 Place the needle thru the middle of a paper round, crumpling up the papers a bit so they don't lie too flat - leave a little bit of space between the rounds, and finish off with a sequin, bead and knot. You can add as many rounds as you like, but mine are at least 15 rounds per "pom pom". For the larger pom poms, start and end with a beads, a small paper round (in place of a sequin), and a slightly crumpled cupcake liner. 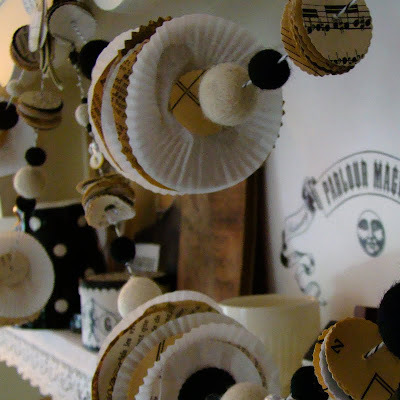 Alternate sets of large and small paper pom poms, with sets of large and small felt balls. You can do this in a regular pattern or completely randomly - whatever appeals to you! 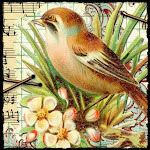 Other items such as buttons or small charms can be added as well. To finish your garland off simply knot a loop at each end. Make several and double them up to add a fun and spooky look to your Halloween decor! I hope you enjoyed this tutorial! 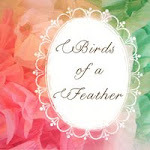 Please feel free to ask me any questions and visit my blog and Etsy shop where I will have a limited number of supplies available for this project, starting in early October. p.s. 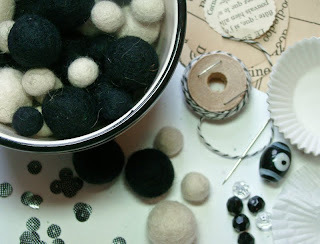 I just wanted to let you know you can get the felt balls at ornamantea.com! I totally love your Halloween decorations, we have the same color preferences and your felt pompom and paper circle garland looks simply fabulous! I don't know if I'll find the time to make one, but i really like it a lot! Melissa, your halloween garland is totally adorable!!! Eeeks I LOVE this!!! Super cute!!! Thanks so much for sharing with us! I would love to make one, I'll have to see if I can find some felt balls. adorable! I just love it! This is gorgeous! I love the color scheme that was used in this project. I will definately be trying this one out! I love your cute vignette! Polka dots are perfect for Halloween! 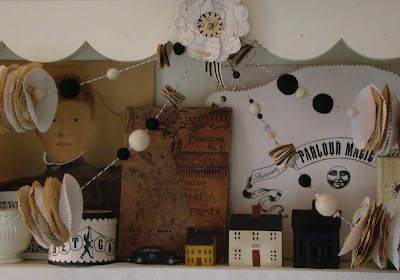 Love this sweetly spooky garland! I too love polka dots....super fun for Halloween! show the halloween kit already! OH, So excited to have found you! 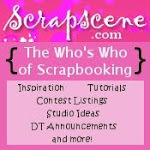 Loving your fabulous blog!! oh my this looks so fun and it's so cute! 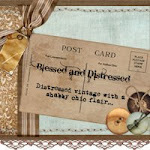 Love the yummy vintage paper circles in this! Thanks so much for sharing!! !